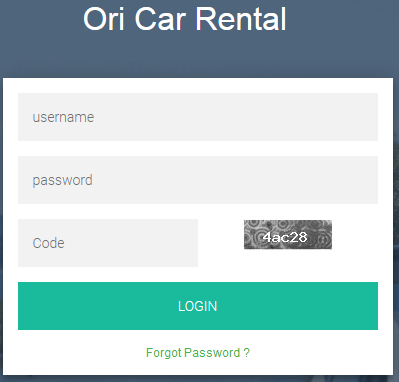 Orisys Infotech is one of the leading bespoke car rental software development companies, providing customize car rental websites with online booking solution throughout the globe. Simplifying the car rental business with fully functional booking engine and easy to use car rental booking websites best match to the individual car hire companies, tour & taxi perators. Orisys Infotech provides efficient car rental solution and dynamic car rental websites for car hire companies as per their exact requirement and specifications to make their car rental business more interactive and easy to manage online..
All our car rental websites and booking solutions are different according to the requirement of individual car rental companies, agencies and taxi & tour operators. 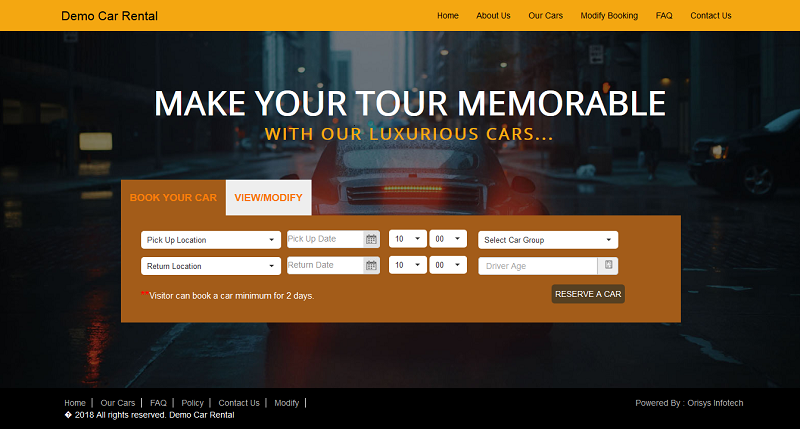 As different companies are having different requirements, so we provide tailored mad car rental boking engines and website with unique look & feel, which can best solve the purpose of vehicle rental agencies. We help car rental companies throughout the world to improve efficiency and achieve higher profitability at most affordable cost. Manage seasons and season wise prices of the cars. Manage customers inquiry and send reply immediately..